(i) The Vibrational energy of metallic atoms (ions) about mean lattice Positions. The thermal properties of solids depend totally upon changes in the energy of Lattices and free electrons. When an electric field is established across the metallic solid, the free electrons are accelerated. Their Kinetic Energy increases and of course a part of their energy is lost by collision with lattice atom. The resulting flow of charge or current is directly proportional to velocity of electrons. 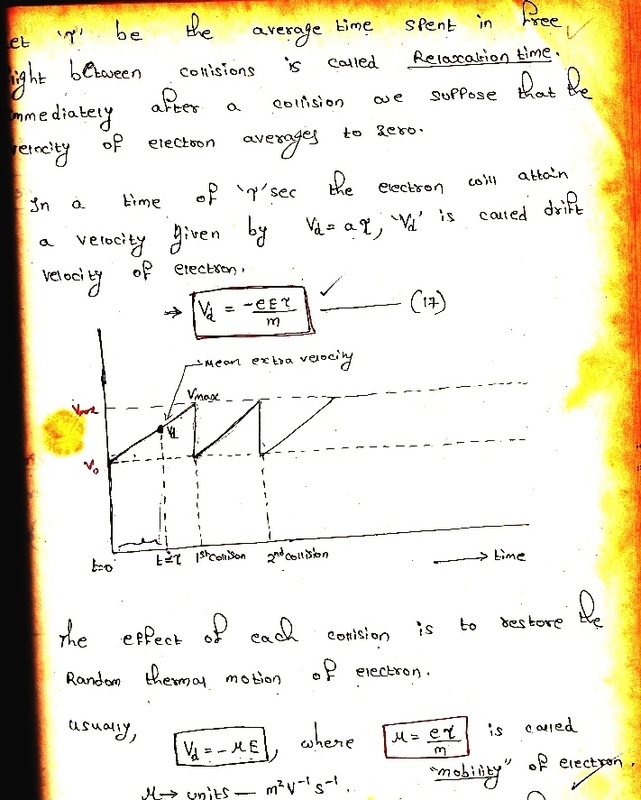 This velocity is determined by applied electric field and also the collision frequency. In the absence of an electric field, the electrons can move from place to place randomly in the crystal, without any change in the energy and collide occasionally with the atoms.In between two collisions, the electron may move with a uniform velocity ; but during every collision both direction and magnitude of velocity gets altered in general. The average speed of this thermal motion depends on absolute temperature. The thermal velocities calculated may not bring any net transport of electric charges, since on average, for every electron moving in one direction there will be another moving in opposite direction. When an electric field (e) is applied to a metals in which there are ’n’ free electrons per unit volume. 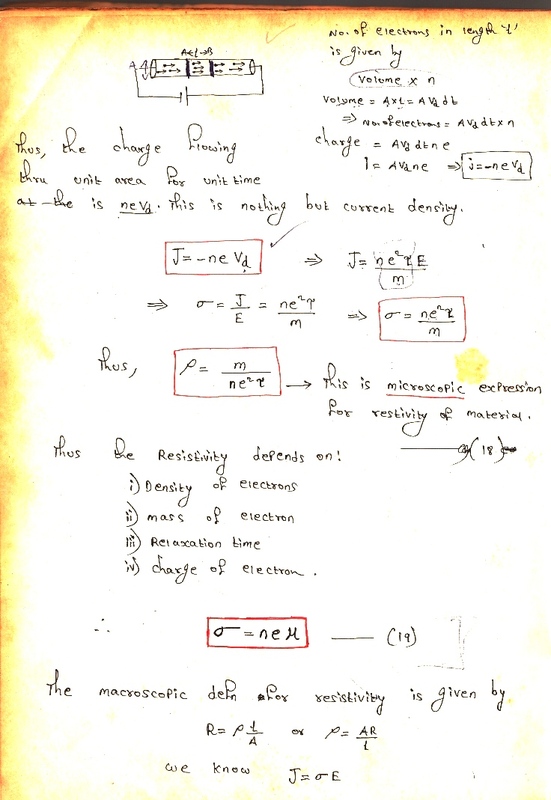 Thus, an electron acquires additional non-random velocity opposite to direction of field. 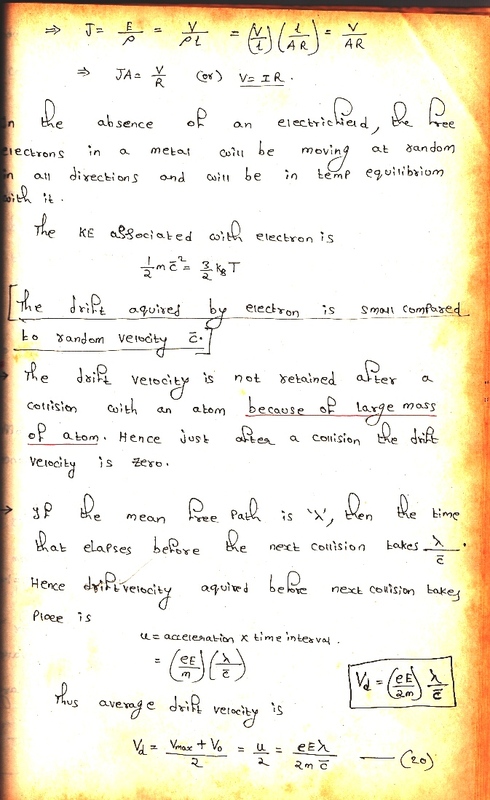 This velocity is responsible for transport of electrons in conductors. 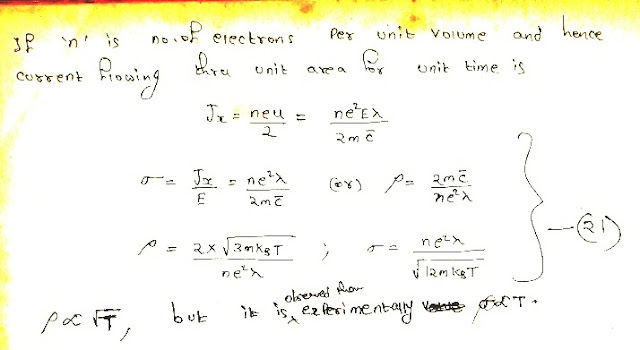 Mobility is defined as drift velocity per unit electric field.